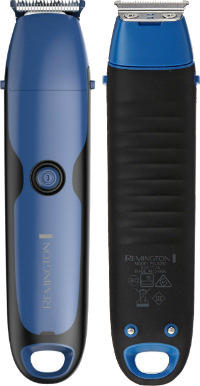 Remington has some affordable grooming options for men, but when it’s important to be able to do grooming wet or dry, the Remington PG6250 WetTech Head, Beard, and Body Grooming Kit is a great all-in-one solution. 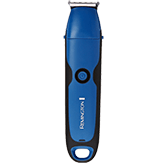 This trimmer comes in a blue and black elongated plastic body, with a circular on/off button around the middle front. The back of the shaver is black. 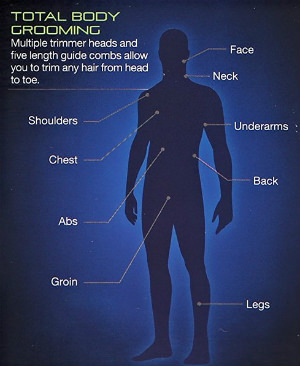 There are multiple attachments that fit on the head of the shaver depending on which part of the body you need to groom. Not only is this trimmer and shaver cordless and rechargeable but it’s also 100% waterproof so you can use it for wet or for dry shaving. Remington has called this feature “WetTech”. Shave with water in the bathroom sink, or take it into the shower or bathtub with you. Lather up with soap, shaving gels or foams, or shaving lotions or creams, to have a faster and smoother shaving experience. The black part of the trimmer and shaver that runs along the sides and backs is actually a non-slip rubberized grip, making it much easier to hold in the shower. There is a handy large hook at the bottom of the trimmer so that you can hang it up on a hook in the shower if you wish. The blades built within the Remington PG6250 WetTech Head, Beard, and Body Grooming Kit are stainless steel, which is the standard nowadays for quality hypo-allergenic blades. These minimize discomfort, redness, and razor burn that can occur, particularly if you are using a cheaper shaver that is made with nickel blades. It’s best to avoid that type nowadays and ensure that your shaver is made with only stainless steel. 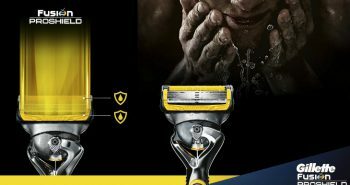 The stainless steel blades were designed to be sharp and long-lasting, so that you don’t have to buy a new shaver every year. 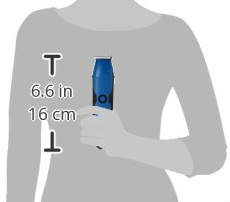 This is also a full-size trimmer, not one of those smaller and narrower ones that you can buy. 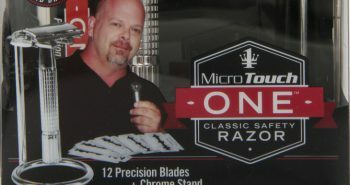 This means that you only have to buy this one kit for all of your shaving purposes. The top of the shaver has a metal trimming comb. This is where you can attach five plastic trimming combs, or the foil-style shaver head to use for your usual facial shaving. The combs simply snap on or off and are used as guides so that they leave a certain amount of hair behind, only trimming to a certain length. You can create any beard style that you desire. The Remington PG6250 is cordless and rechargeable, and the kit includes a black charging plug and cord. 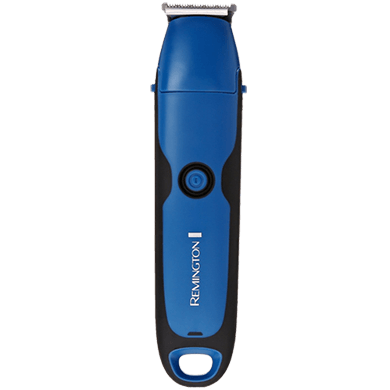 The Remington PG6250 WetTech Head, Beard, and Body Grooming Kit runs on a lithium battery that provides extra power to the motor. One full charge using the charge cord/plug will give you sixty minutes of runtime. You’ll find the extra time is all you need to not only shave your face, but the rest of your body too. At the center of the on/off button is an LED battery indicator. This will tell you when your battery status is low, as well as when it’s charging up after its been plugged into the wall. 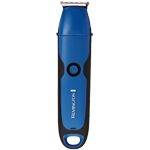 This shaver also has an auto worldwide voltage feature so you can use it at home or abroad. The reviews are above average for the Remington PG6250, with 4.3 out of 5 stars, indicating that most people are pleased with their purchase. 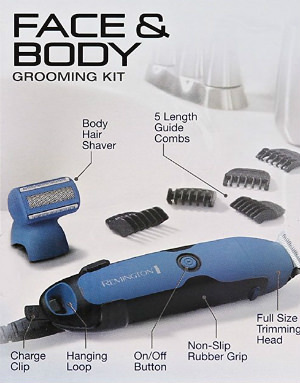 The Remington PG6250 grooming kit comes in a box, with the blue trimmer visible through the plastic on the front. The box is decorated with black, white, and lime green graphics. The box measures 3” x 8.8” x 4.8 inches. This entire shaving kit is affordably priced at $34 so anyone can afford to buy it. There is a limited two year warranty on it. Now you’ll be able to groom with ease. 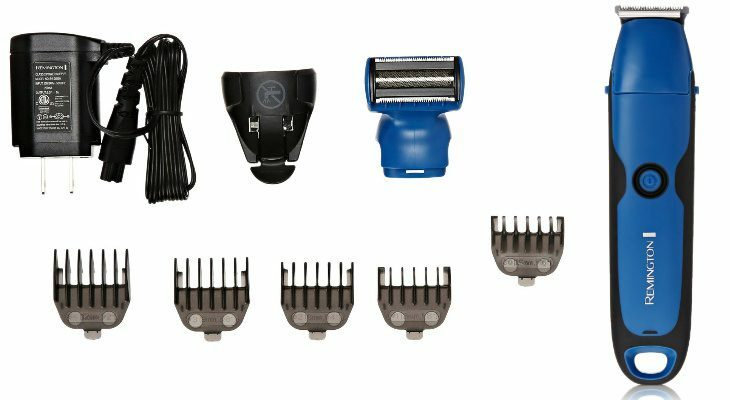 With the Remington PG6250 WetTech Head, Beard, and Body Grooming Kit, you can achieve all your grooming needs with one kit, at an affordable price. Now you can be well-groomed from head to toe.